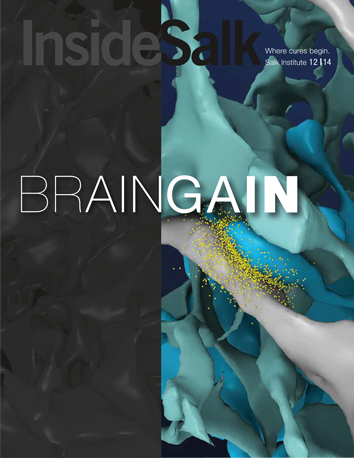 Moving science forward requires partnerships. 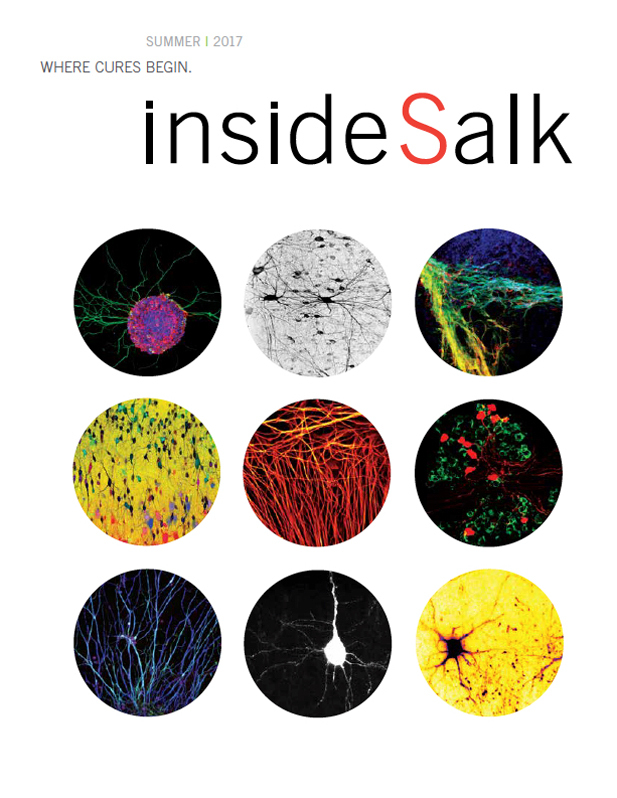 So in this season of giving thanks we highlight and thank our many partners, especially the donors who step up every year to fund important biological research at Salk. 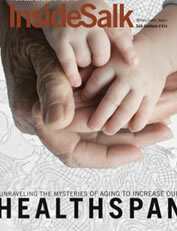 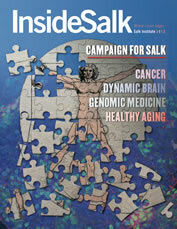 More than just money, though, these dedicated Salk supporters give of their time and their expertise. 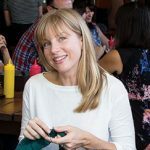 And for that we are particularly thankful. 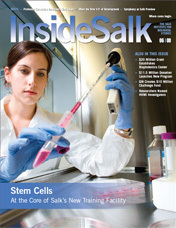 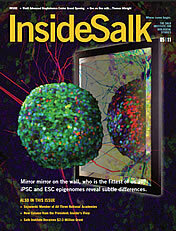 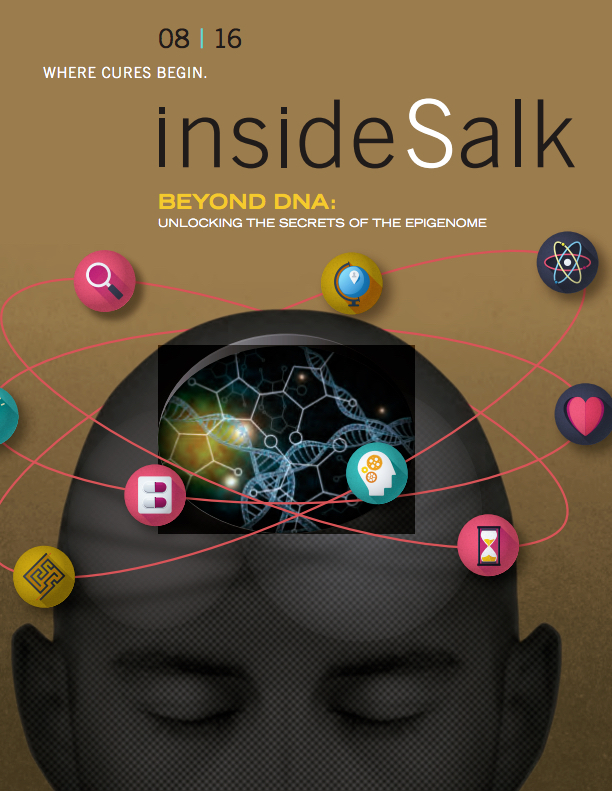 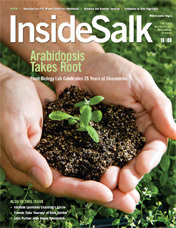 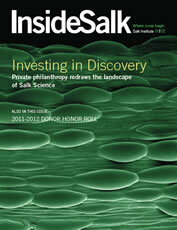 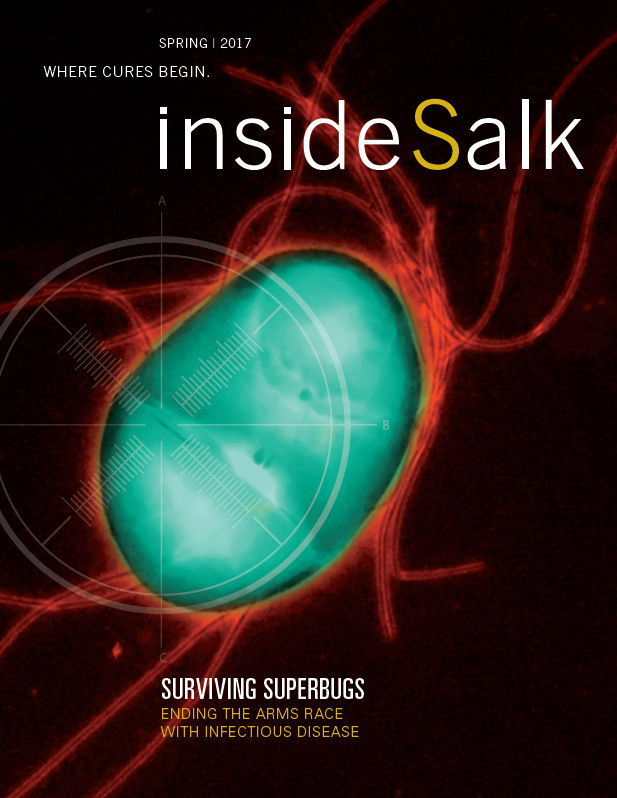 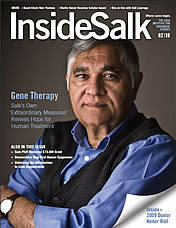 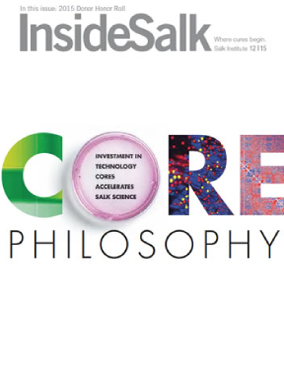 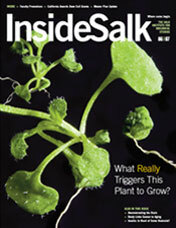 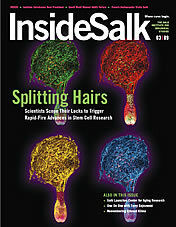 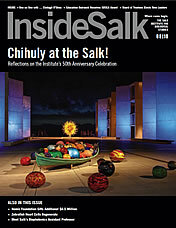 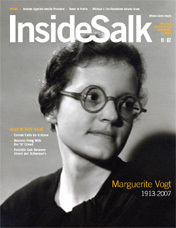 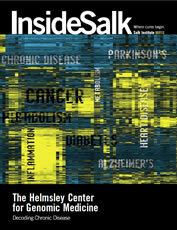 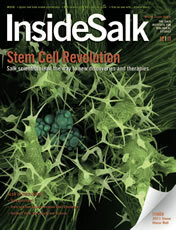 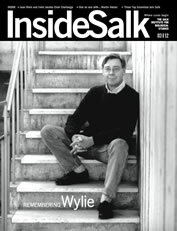 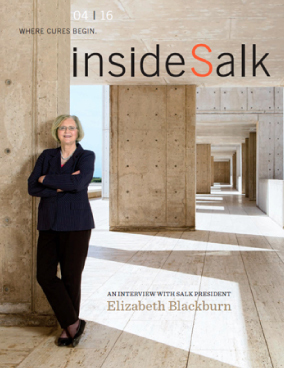 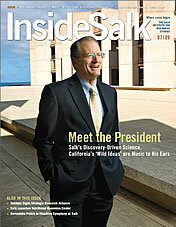 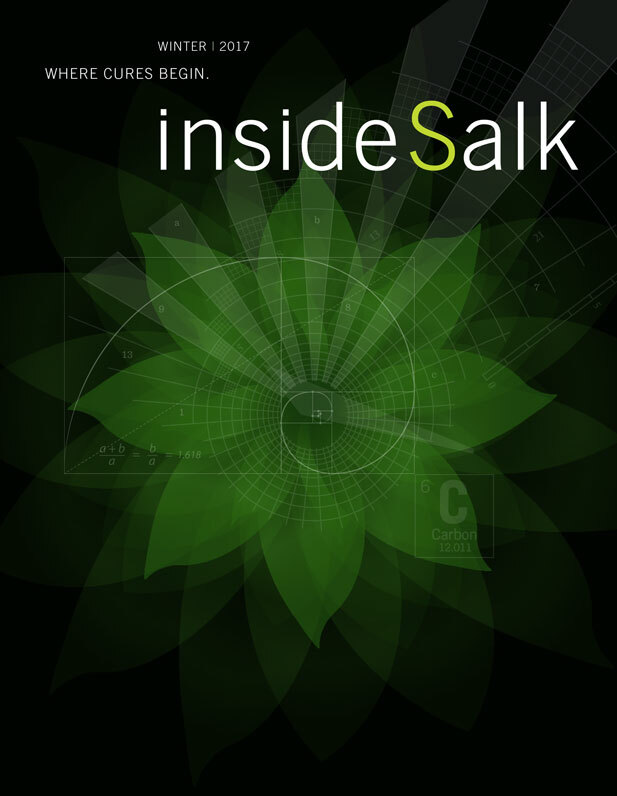 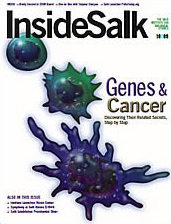 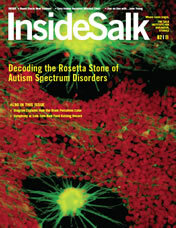 In this issue of Inside Salk, we feature our Innovation Grants Program, one Salk partnership program that propels the sort of high-risk, high-potential research that confirms the Institute’s reputation as a world leader. 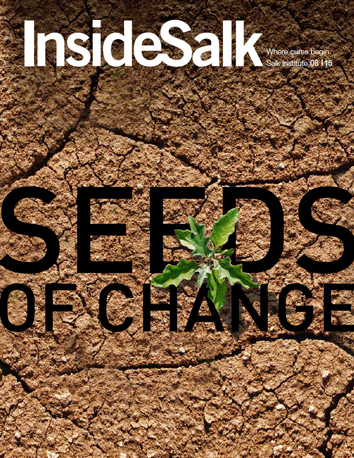 This program enables ambitious scientists such as Clodagh O’Shea, Satchidananda Panda and Sreekanth Chalasani to pursue novel avenues of research that might otherwise have been orphaned due to a lack of traditional funding. 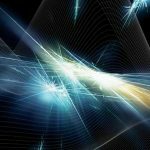 I’d like to point out that innovative partnerships are key to the Chan Zuckerberg Initiative, the $45 billion organization founded by Mark Zuckerberg and his wife, Priscilla Chan. 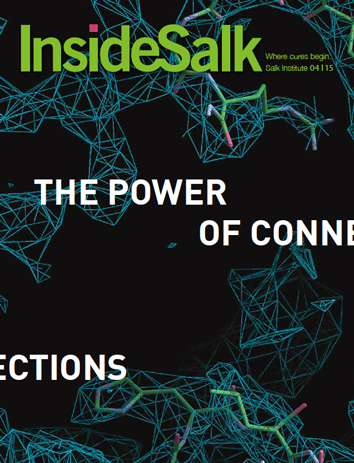 In September, they announced plans to unite experts from around the world in virtual institutes dubbed “challenge networks” to tackle urgent scientific and medical problems. 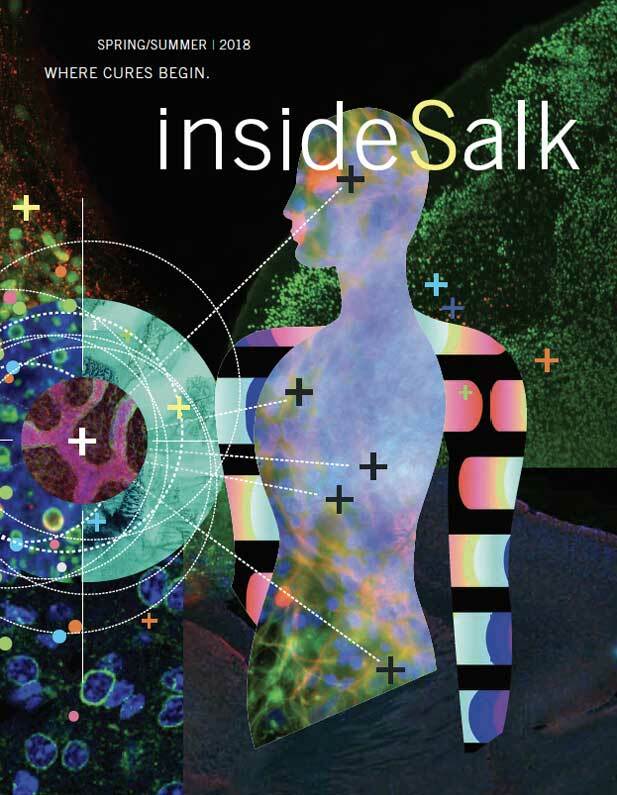 Such interdisciplinary collaboration has always been a tenet at Salk and I envision our Institute partnering with others within the framework of this new initiative. 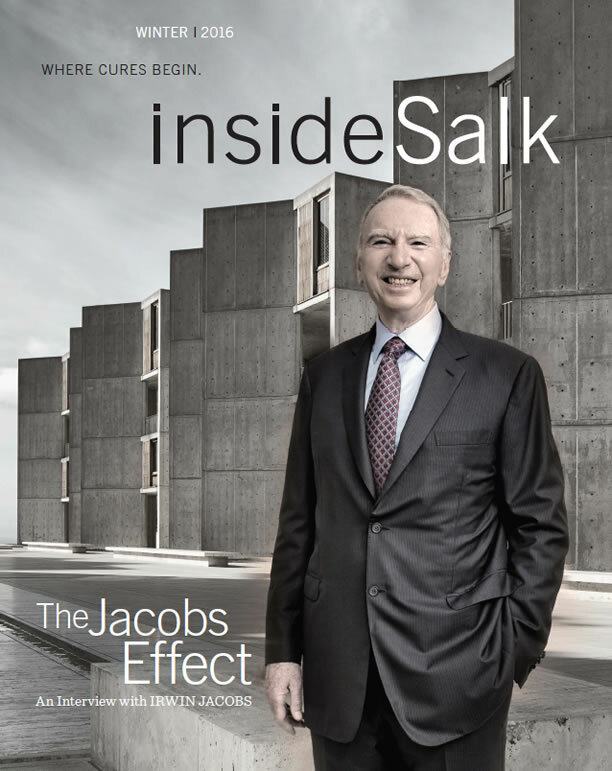 Finally, on behalf of everyone here at Salk, I’d like to express our gratitude to two of our finest partners, Irwin Mark Jacobs and his wife, Joan. 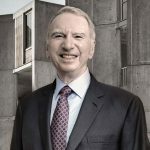 It is my honor to hold the Irwin M. Jacobs Presidential Chair, established in 2009 by Qualcomm, the San Diego-based telecommunications equipment company founded by Irwin. 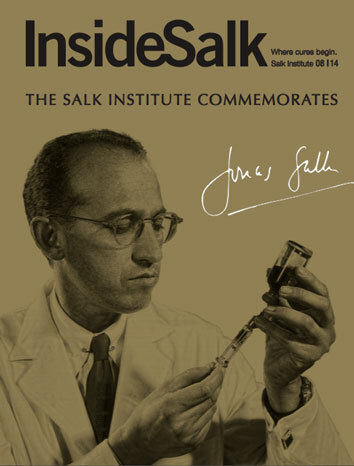 Over the course of a long and ongoing relationship with Salk, the Jacobses have helped create the Crick-Jacobs Center for Computational and Theoretical Biology, an interdisciplinary research unit providing unprecedented insights into the workings of the brain; they endowed two chairs recognizing Salk Nobel laureates Renato Dulbecco and Roger Guillemin; and they initiated a highly successful “chair challenge” in which they matched every gift of $2 million with an additional $1 million toward a goal of fully funding 20 endowed chairs. 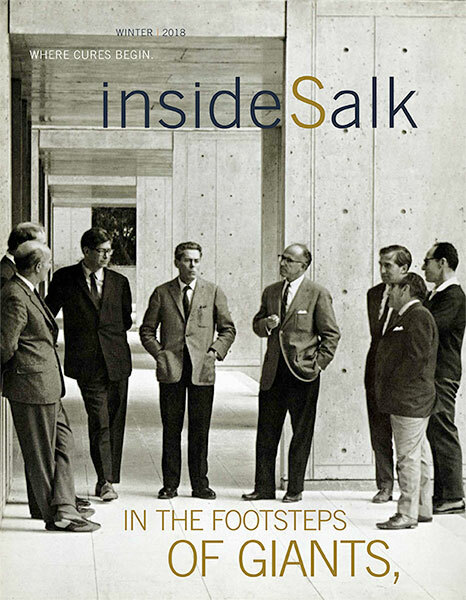 Now, after 10 years of astute leadership as chairman of the Salk Board of Trustees, Irwin is stepping down, even as he continues service as chair emeritus. 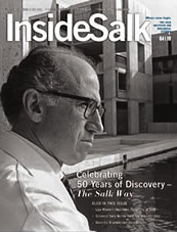 What wonderful partners he and Joan have been—and continue to be—to Salk. 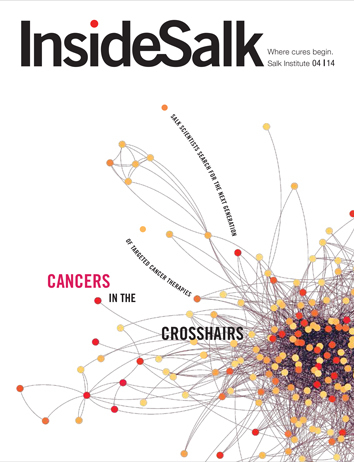 Read on to learn about all the amazing discoveries supported by our equally amazing partners. 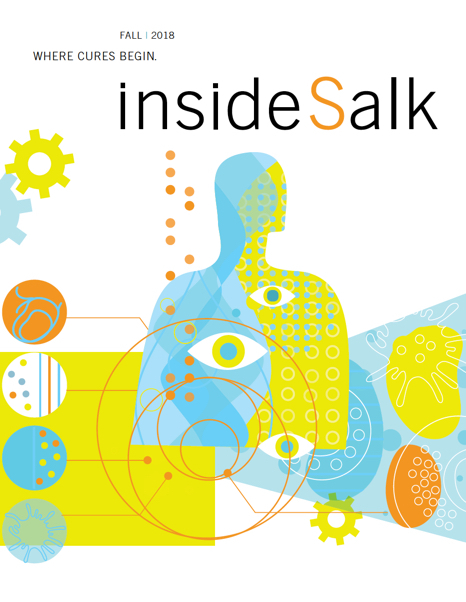 We appreciate each and every one of you, and I wish you a joyous holiday season.